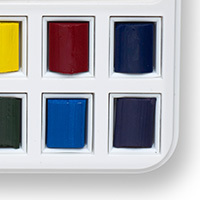 12 Cotman water colours made from the purest pigments. An ergonomically designed brush pen with its own water reservoir. All packed into a slim, beautifully curved case that fits in your pocket. The Cotman Brush Pen Set allows you to capture moments of inspiration no matter where you are. And add splashes of vibrant colour to your work with all the precision and control of your favourite brush. No mess, no fuss. 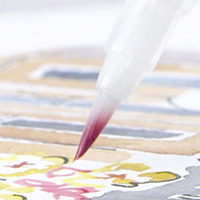 The Winsor & Newton Brush Pen is a unique tool for adding controlled splashes of colour to your sketches and drawings, without interruption or hassle. Convenience and Control Delivering water directly via the brush means you don’t have worry about messy water containers or interrupting your work to refill the bristles, making them perfect for outdoor use. Performs Like a Brush The load, spring and point of the synthetic, fine-end tip are designed to deliver the amount of control and line versatility you would expect from a regular brush and more. 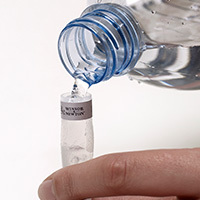 Clever Compact Design The tactile bobble grip is easy to squeeze and comfortable to hold, and the water level is always visible through the transparency of the brush. The pocket size brush fits neatly into the set brush compartment. 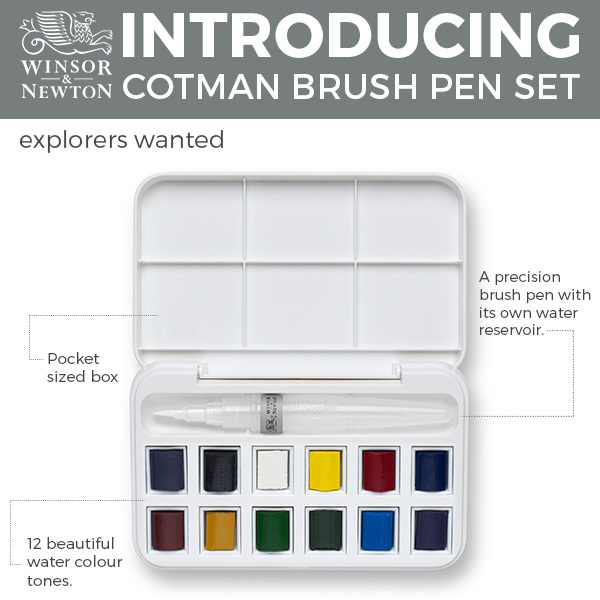 This great set consists of a stylish plastic paint box containing 12 x Cotman Watercolour half pans and a Winsor & Newton brush pen. The tactile bobble grip is easy to squeeze and comfortable to hold, and the water level is always visible through the transparency of the brush. The pocket size brush fits neatly into the set brush compartment. The Cotman Brush Pen Set includes a glorious selection of 12 colours to bring your sketches & ideas to life! Paint! Add splashes of vibrant colour to your work with all the precision and control of your favourite brush. No mess, no fuss.